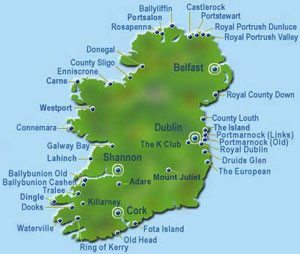 Ireland! Home of the best racehorses and the best golf courses in the world?! So surely the best day out in the world would involve combining “the Sport of Kings” with a round of golf? 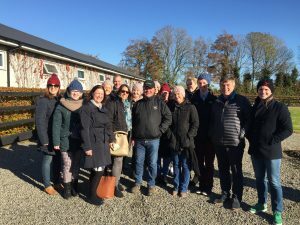 A privileged visit to one of Ireland’s top racehorse training yards. Start of your special day in the fresh air at an idyllic location, surrounded by the grace and power of beautiful blueblood thoroughbred racehorses. 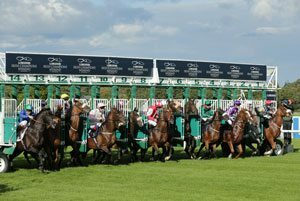 Meet the trainers, jockeys, and most importantly, the stars of the show,the horses. 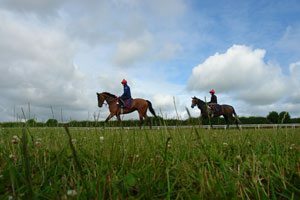 You will get exclusive behind-the- scenes access and watch the equine athletes strut their stuff as they exercise on the gallops, or relax in their stables. This is a truly unique experience to start your day. 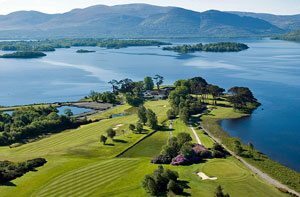 In your luxury transport, Racing Tours Ireland can bring you to one of the many championship courses that Ireland has to offer – play such great courses as Portmarnock, Baltray, The K-Club, Druids Glen, Mount Juliet, Dun Laoghaire, Carton House to name but a few. With the help of our friends at GolfMasters, who have been welcoming golfers to Ireland’s wonderful courses since 1990, we’ll help you have a round to remember. As if that wasn’t enough, we’ll then bring you to the races for some “craic at the track”! You and your gang can enjoy reserved seating and dining in front of great horse-racing on the track, and great enjoyment off the track. After meeting the horses in their own yards that morning, and tackled a world-renowned golf course in the afternoon, what better way to close out the day than socialising at the races? And leave getting you home to us! Packages for all of the above start from €300 + vat per person, but as every day is different and unique due to race meeting schedules and the golf courses you would like to play, contact us to tailor your special day to suit your requirements and budget. 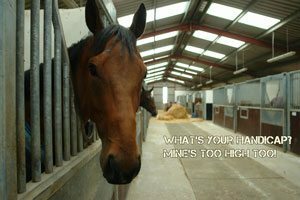 Email us at info@racingtoursireland.com or phone 086 8591695.